Buy the Sanicom 1 online and save time and money. Manufacturer’s RRP €944.64 – so buy here for BIG savings! 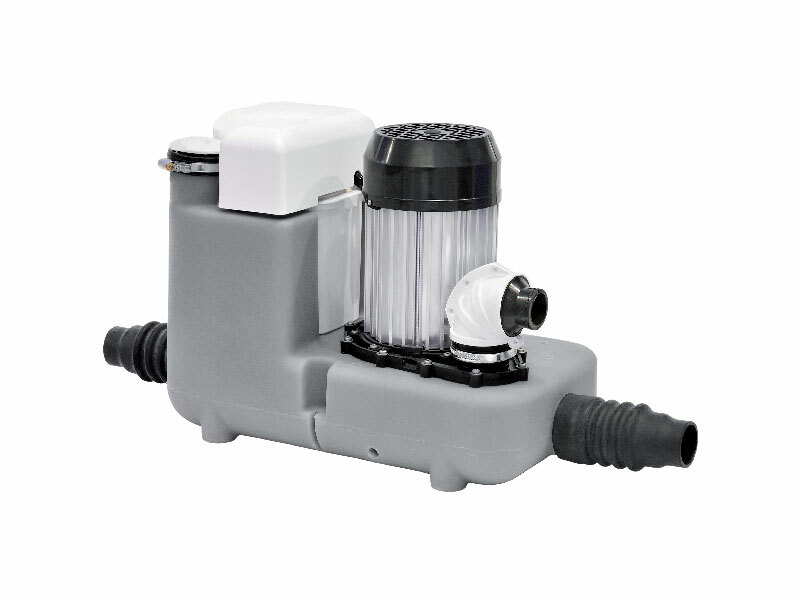 The Sanicom 1 is a heavy duty waste water pump for use in intensive commercial environments. 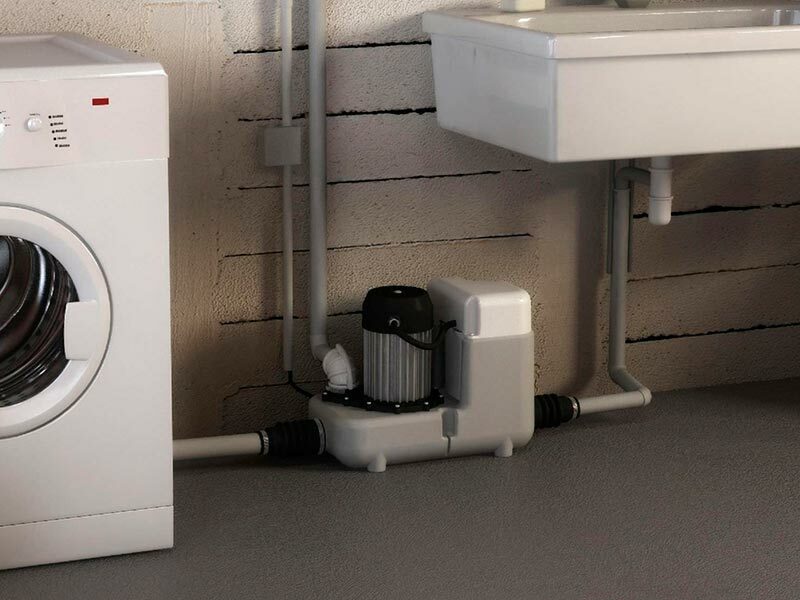 Examples of common applications include use with dishwashers and washing machines in hotels, cafés, laundries, nursing homes, guest houses, pubs, shops, and restaurants. 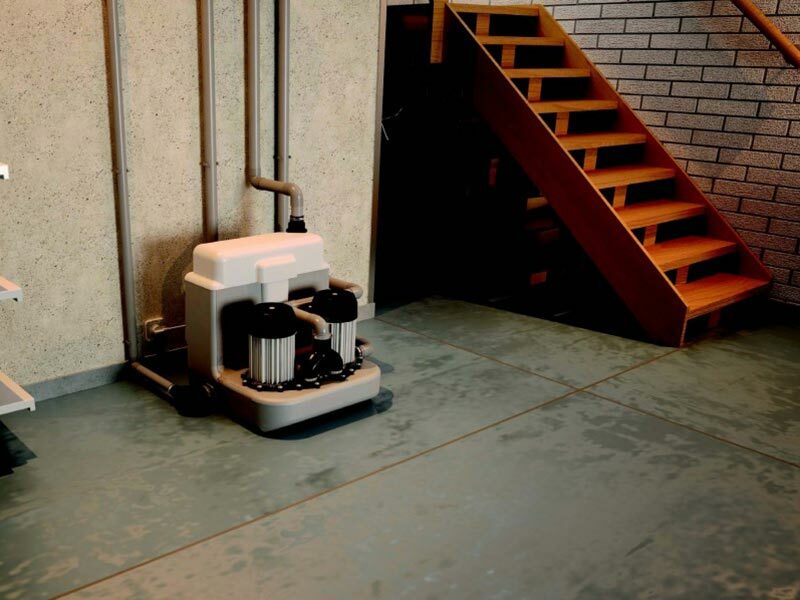 The Sanicom 1 was designed to sustain the toughest applications meant for grey water pumps. Its pumping capabilities and unique design are the reason why these range of pumps are preferred for heavy duty applications. The inside of the Sanicom 1 comprises of a pressure switch and a circuit board assembly, which starts and stops the unit, a powerful 1-HP motor, which in turn starts the motor. The motor is sealed for life in an oil filled enclosure. A spindle/shaft drives the impeller and therefore the moving parts are kept to an absolute minimum. Water enters the chamber and is pumped away into the sanitary sewer. The Sanicom 1 and can pump waste through heights of up to eight metres, and horizontal distances up to 80 metres. Once the water is discharged and the water level in the container goes down, the pressure switch deactivates the unit until water enters the unit again. A normal operating cycle for the Sanicom 1 can be as short as 2 – 10 seconds depending upon the discharge pipe run configuration; power consumption is therefore minimal. The Sanicom 1 handles up to 90° water, making it perfect for commercial kitchen applications where dishwashers must operate at exceptionally high temperatures to meet health and sanitation standards. In addition, the unit is specially designed to withstand liquids with highly acidic properties, such as wastewater from processing applications. Its important to use the proper pipe rated for high temperature on the discharge as well as for the inlets. The waste water from other sanitary fixtures is discharged into the Sanicom 1 via two 2-inch inlets, on either side of the housing. The discharge elbow on top of the Sanicom 1 can be turned either to the left, to the right, or towards the back, depending on the discharge installation. A non-return valve, provided with the system, prevents back flow into the unit. This unit has been designed with a vent connection on top of the enclosure. All plumbing codes require connection to a vent system. Please note that the vent system should be a two-way air vent. The use of mechanical vents, air admittance valves or similar devices are not permitted as these are considered one-way air vent systems. Please note the Sanicom 1 is not suitable for use with Sanialarm. The Sanicom 1 along with all of our Saniflo Systems and Kinedo Shower and Bath Solutions can be bought online with the reassurance of dealing with Ireland’s official Saniflo and Kinedo agent.